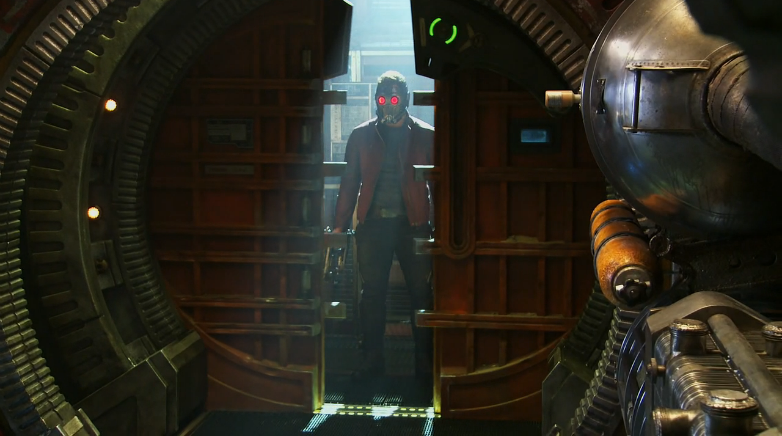 But yeah, I love Guardians of the Galaxy. I recommend it to any moviegoer. Everyone I’ve talked to has liked it, and I think you will, too. Now for a more in-depth look at what makes it great. 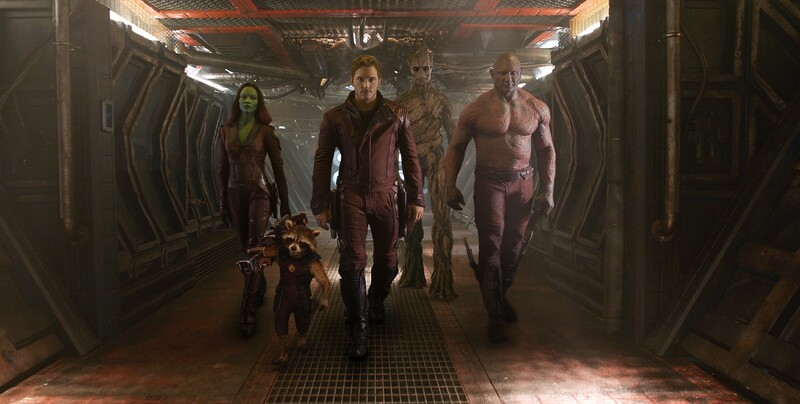 The first thing that makes Guardians superb is the lineup of characters. I never would’ve thought that an anthropomorphic raccoon, an anthropomorphic tree, an alien warrior woman, an alien warrior guy and some goofy dude from Earth would’ve been my favorite comic book team, but they are. I love Rocket Raccoon’s sardonic wit and Groot’s selfless loyalty to his friends. 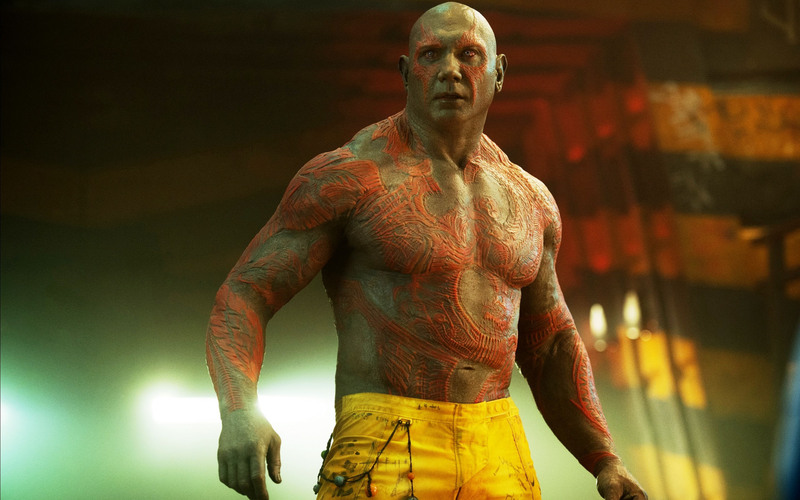 I love Drax (my favorite character) for his literalness and trustworthiness. Chris Pratt is really good at acting. The acting is great! Chris Pratt might be one of the best actors of his generation. 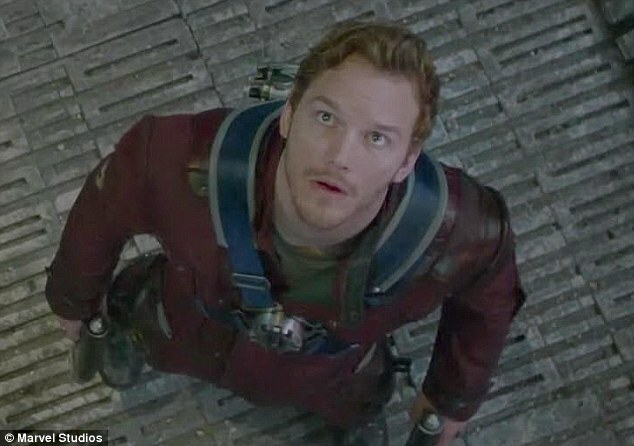 His Peter Quill/Star-Lord is a mix of Han Solo and Indiana Jones with a little Chris Tucker from Rush Hour and just a pinch of Will Ferrell. He is able to play comedy and drama with equal facility, and his heroism is the best I’ve seen since Harrison Ford. 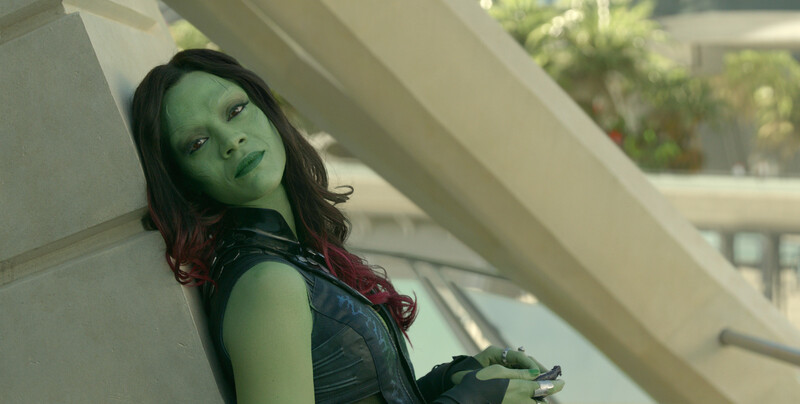 Zoe Saldana is terrific as Gamora. Playing in body paint, we are treated to her real performance instead of motion capture. This is awesome since she plays the serious warrior tremendously well. Dave Bautista is perfect as Drax. One major surprise was the performance from professional wrestler Dave Bautista. I’m not sure why, but wrestlers are some of the best action actors in the business. Jesse Ventura in Predator, The Rock in The Rundown, Stone Cold Steve Austin in The Expendables (admittedly, this is a stretch, but I wanted to give you an excuse to go back and read my masterpiece on that masterpiece), and now Dave Bautista. He delivers a consistent performance with great humor and touching depth. Rocket is a fan favorite. 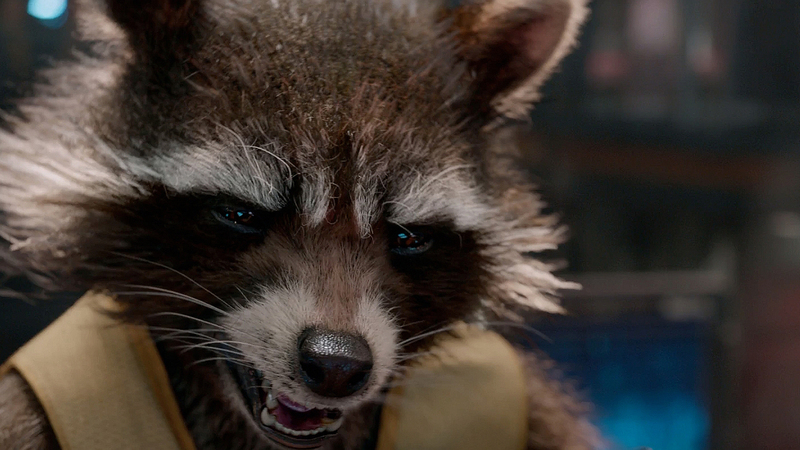 A fan favorite is Rocket Raccoon, and Bradley Cooper’s voice was perfect and unrecognizable as the quick-witted animal with a plan. 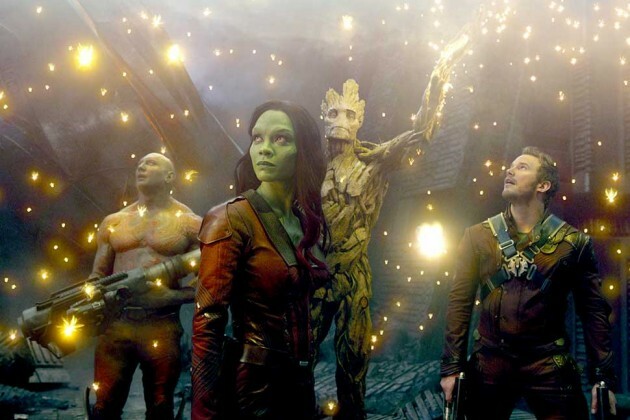 Vin Diesel is good as Groot, although really, Vin didn’t have to do much. 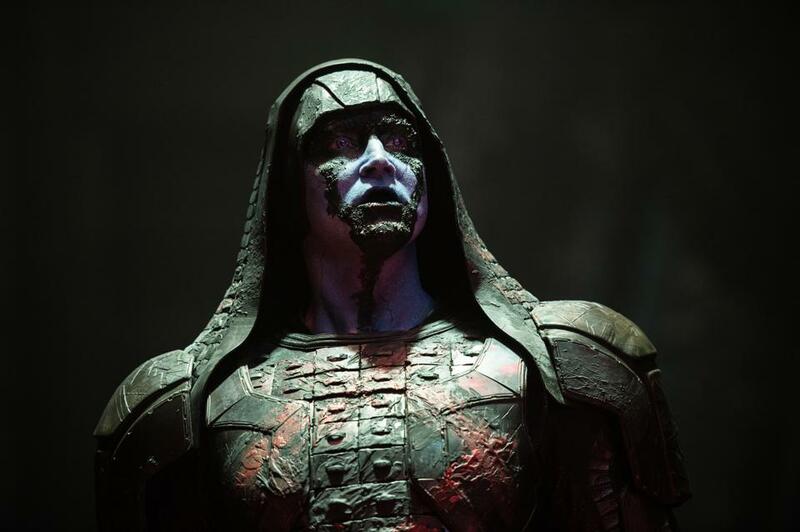 I also liked Lee Pace as Ronan. I felt like his is one of the best villains I’ve seen recently. Not too dramatic, not too likable – just powerful badness and conviction. 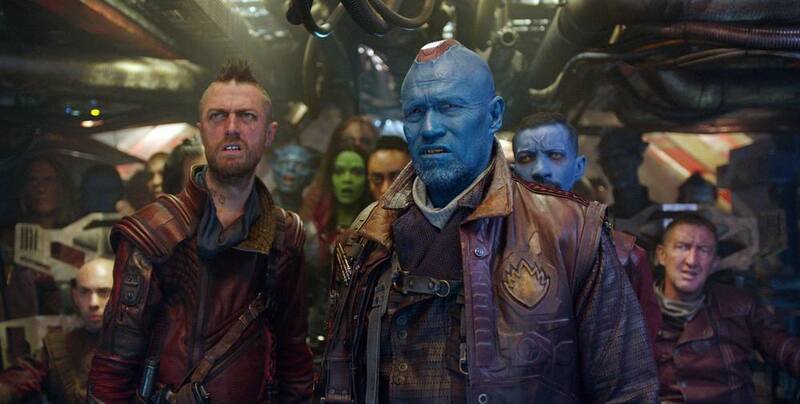 Finally, I also loved Michael Rooker as Yondu. A vicious scavenger/outlaw, he is very effective and makes the role both fun and heartwarming. This is indeed an awesome mix. Another great element is the music. 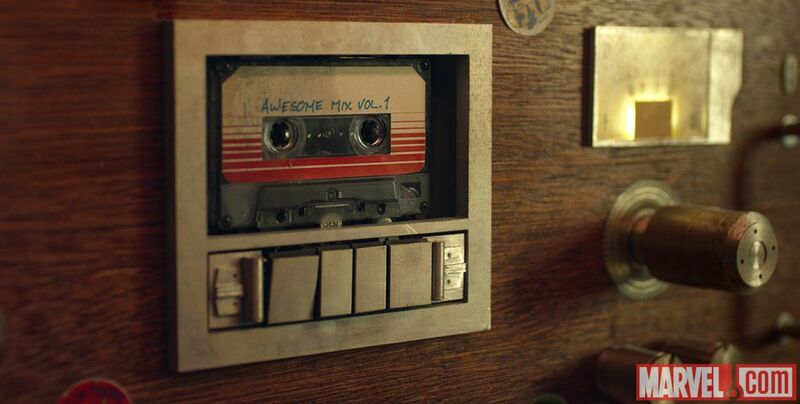 Guardians‘ score features both a regular movie soundtrack and pop music. Tyler Bates composed a stirring main theme which somehow blends nicely with snappy music from the 70s and 80s. The score made me exhilarated, and it made me anxious. 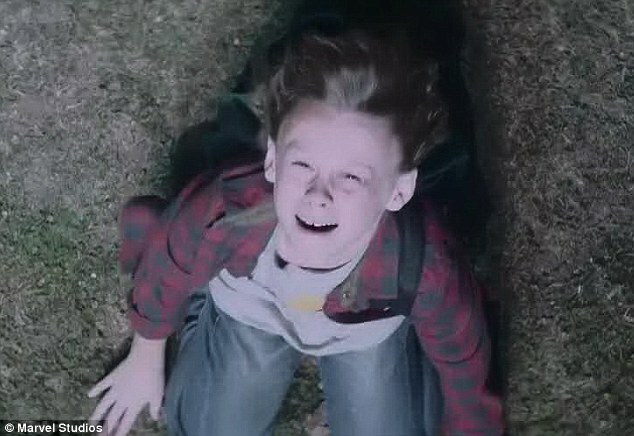 It made me happy, and it made me cry. For what more can you ask? The story, CGI and humor all combine into one amazing presentation. 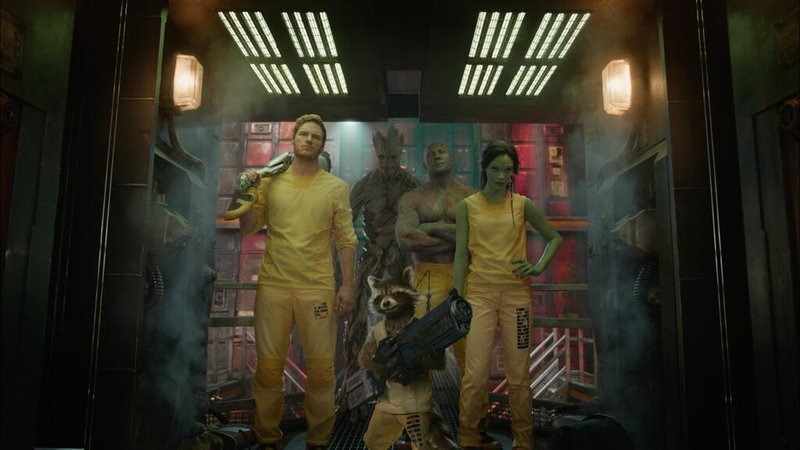 Since most moviegoers aren’t familiar with the Guardians, writers James Gunn and Nicole Perlman had to craft a story that would tell us who the characters are, what makes them tick, what’s going on in the universe, and why we should care ALL without slathering the dialogue with exposition. This they did. Next, as director, Gunn put together a wonderful CG world that serves the story rather than being a distraction. I personally found the cinematography to be gorgeous, and I feel the sharp 3D makes this a movie best seen in theaters, and specifically in IMAX. This is one of the better “young version-old version” casting choices. Finally, Gunn and Perlman leavened things with humor, which is good since the humor turns out to be one of the greatest attributes of the movie. It’s funny – I initially didn’t love the humor, as I found some many of the gags to be ill-timed or too similar. However, upon a second viewing, I changed my opinion, finding things to work exceedingly well. There is still one moment that would’ve been better left out, but that is one minor fly in the vast sea of amazing ointment. 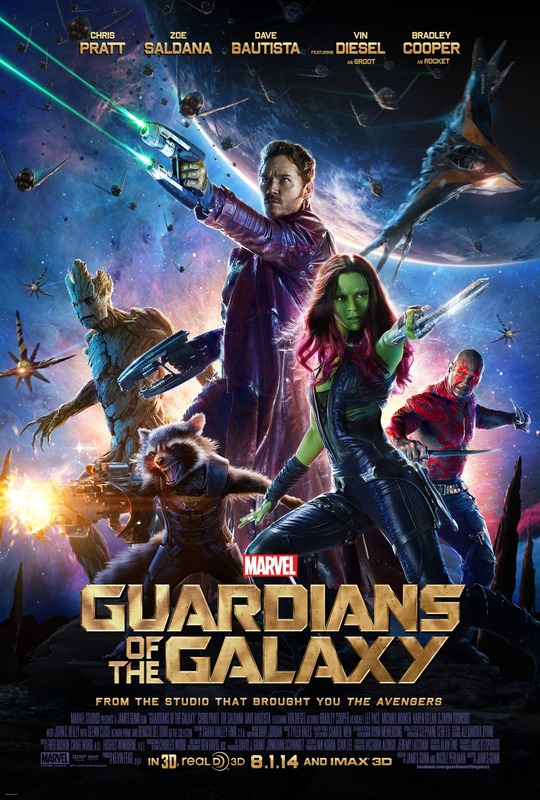 In all, Guardians of the Galaxy is simply brimming over with creativity. 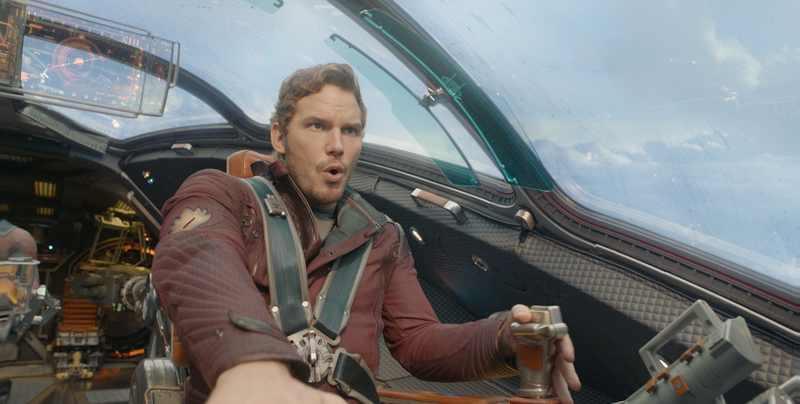 This isn’t just a comic book movie – it is a full-on space adventure. I see more similarities between this and Star Wars than this and The Avengers. As a space adventure, the film has continuous moments that make you think ‘Why wasn’t that ever done before?’ My buddy Chris even said something to that effect, telling me he was really impressed by some of the sci-fi ideas. They seemed so real and logical, it was surprising to both of us that nobody had put them in a movie yet. Grant Stevens is a guy who writes and is very excited for the next installment of Guardians of the Galaxy. When not writing, he enjoys basketball, music, apologetics, reading, and learning new languages. He is also the Khan of the Use Ironic Correctly Society.